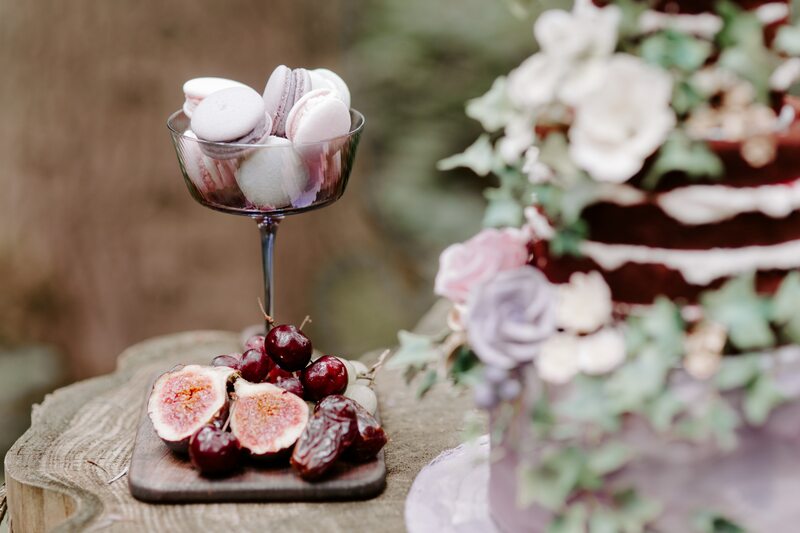 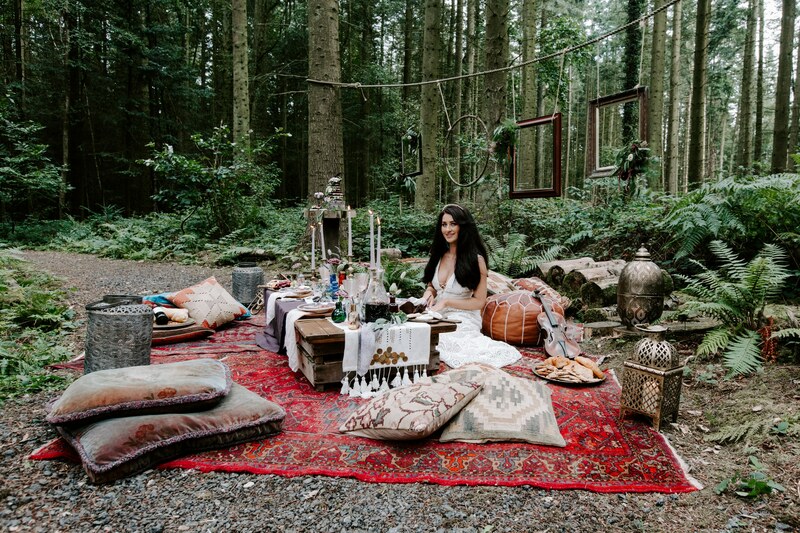 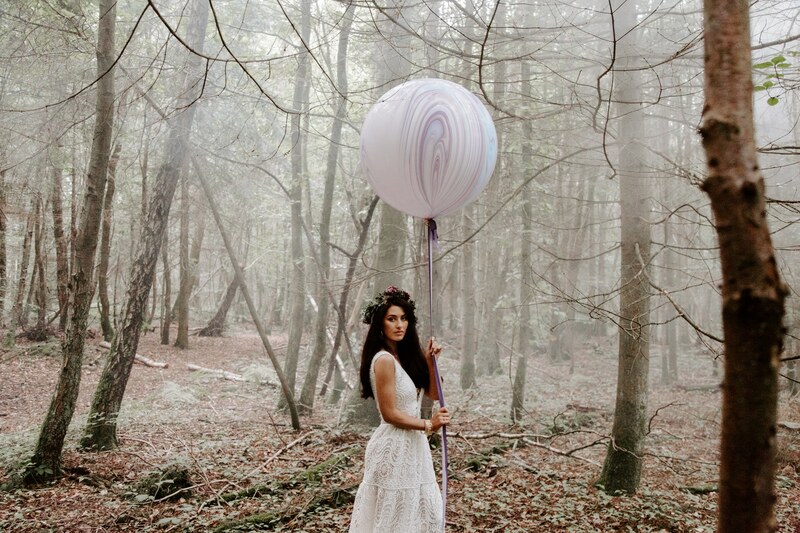 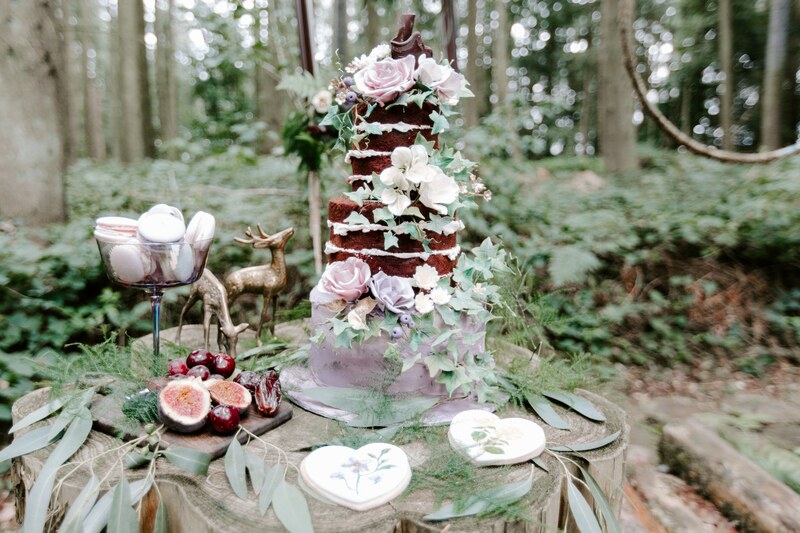 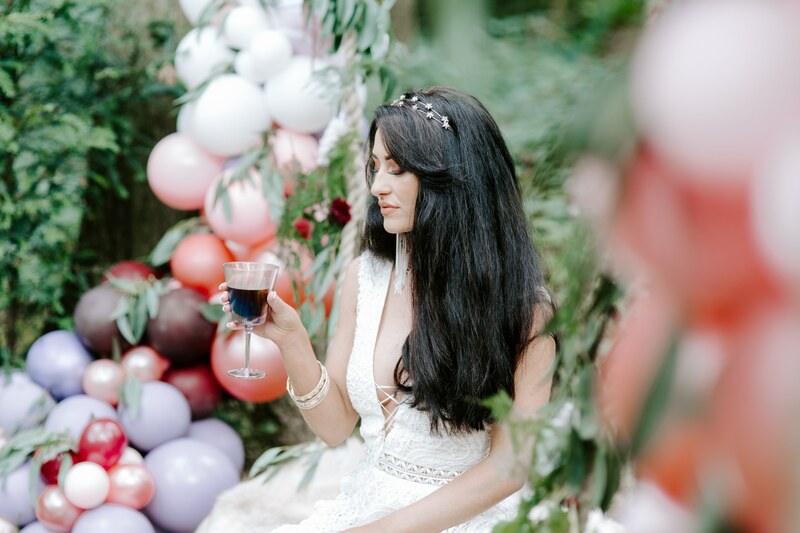 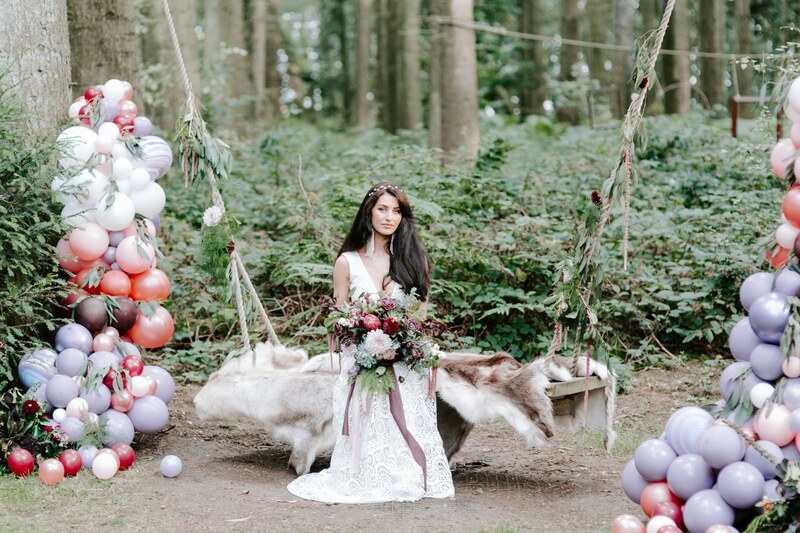 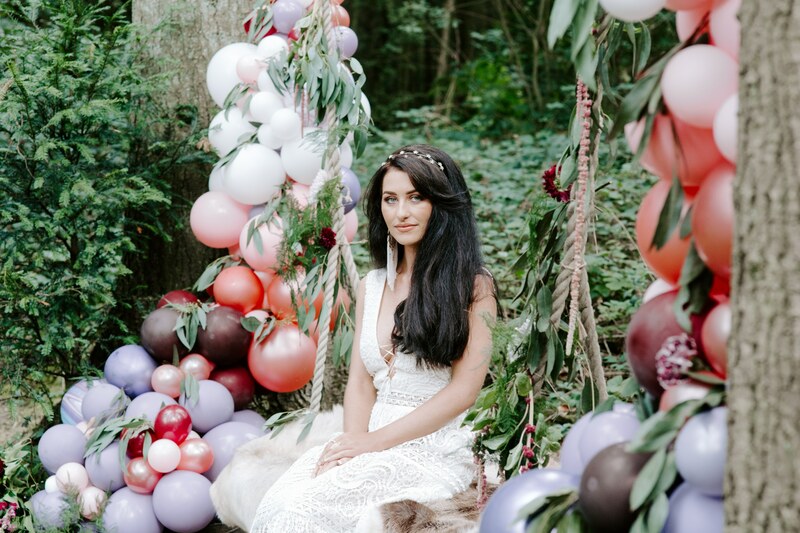 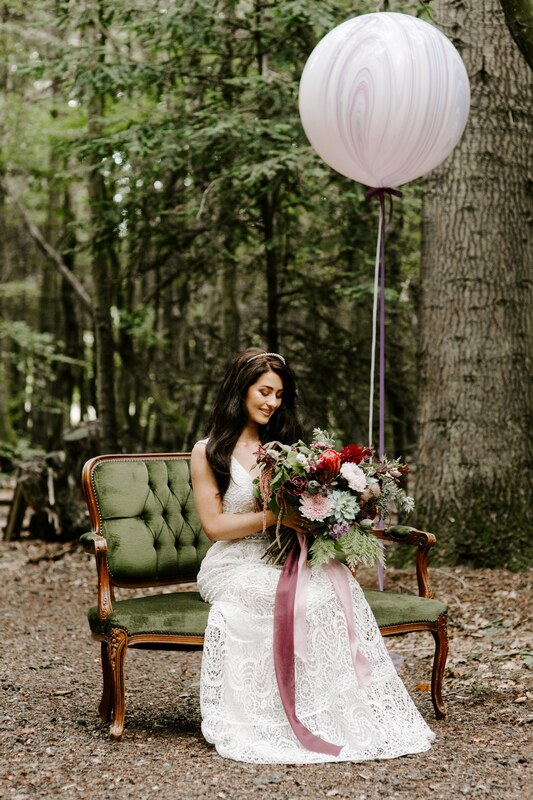 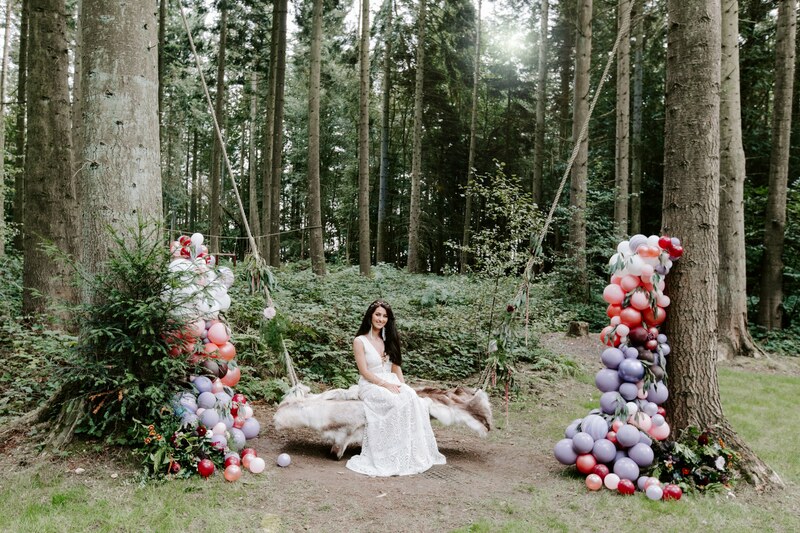 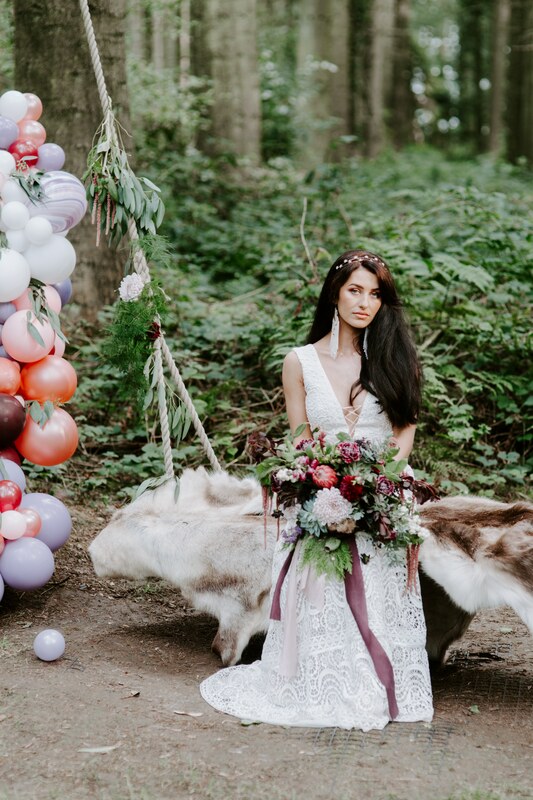 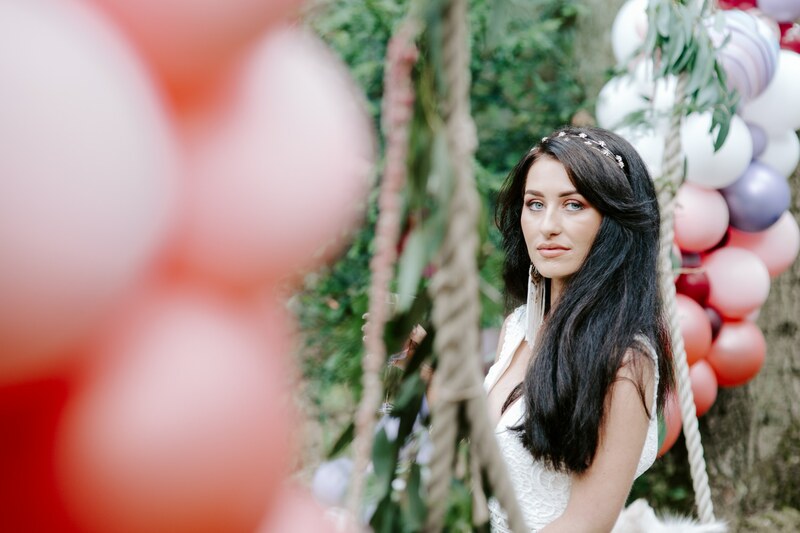 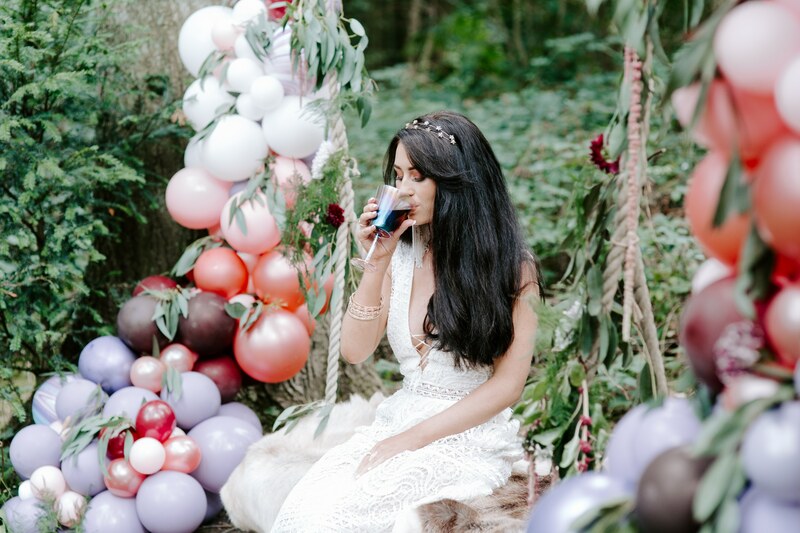 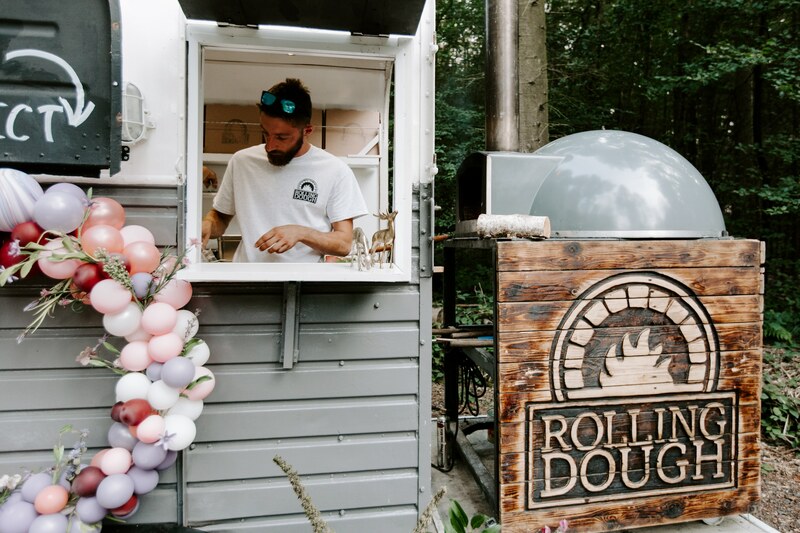 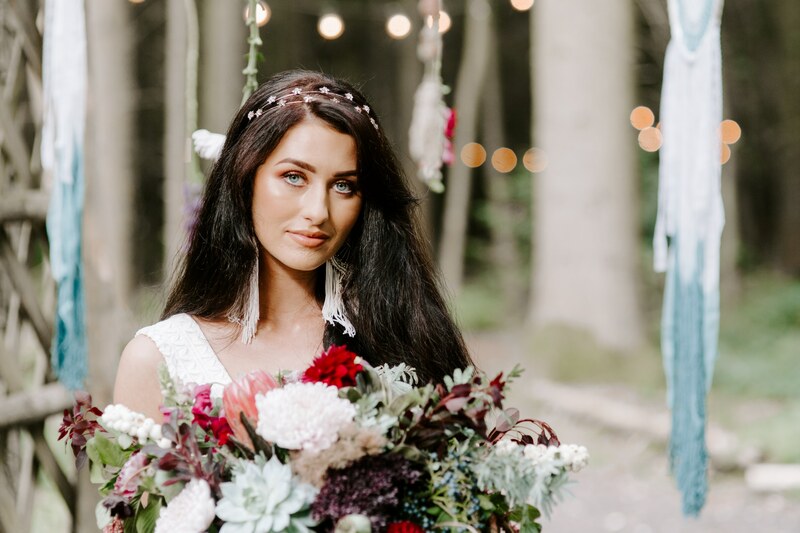 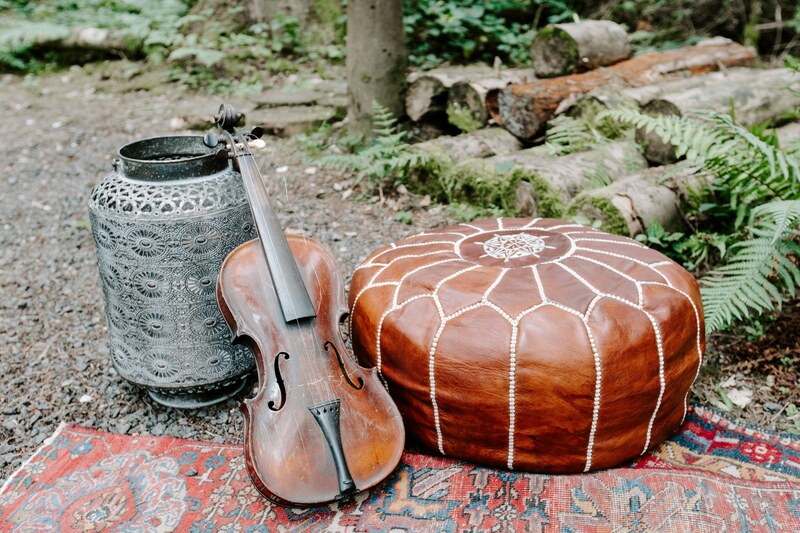 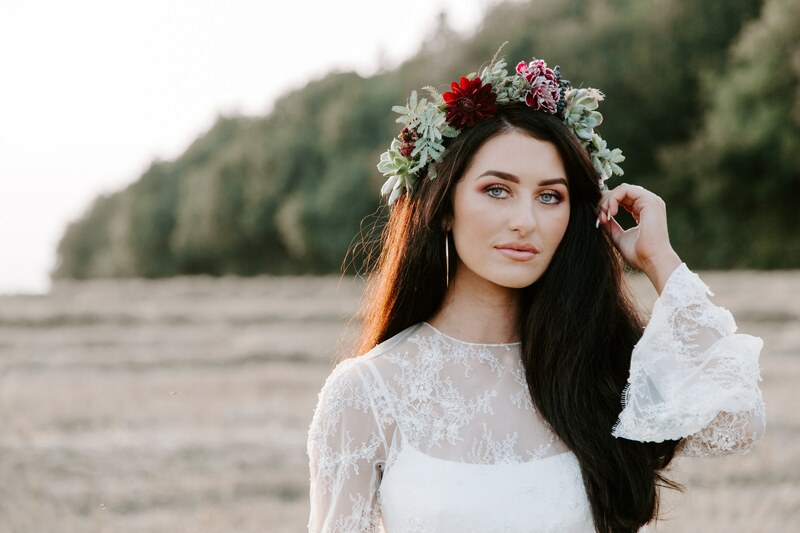 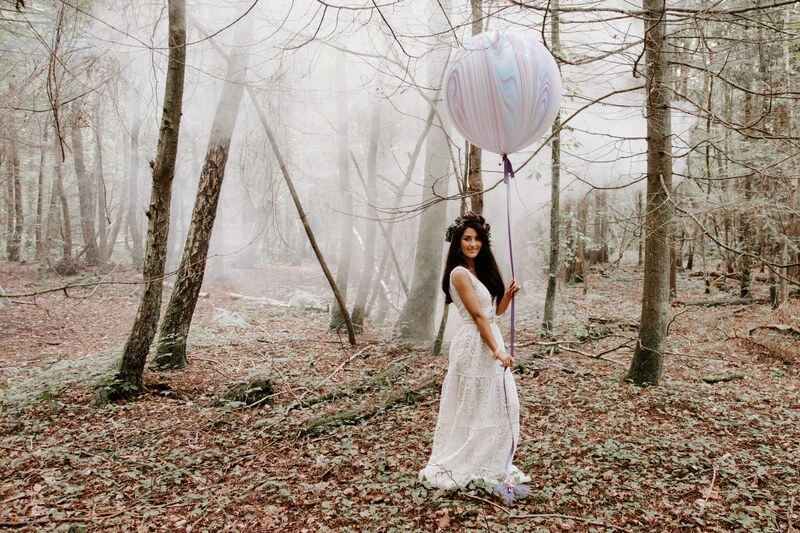 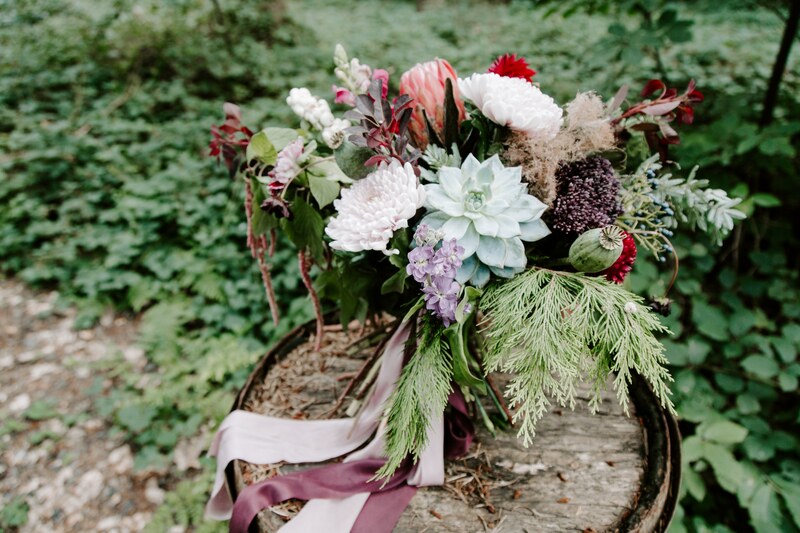 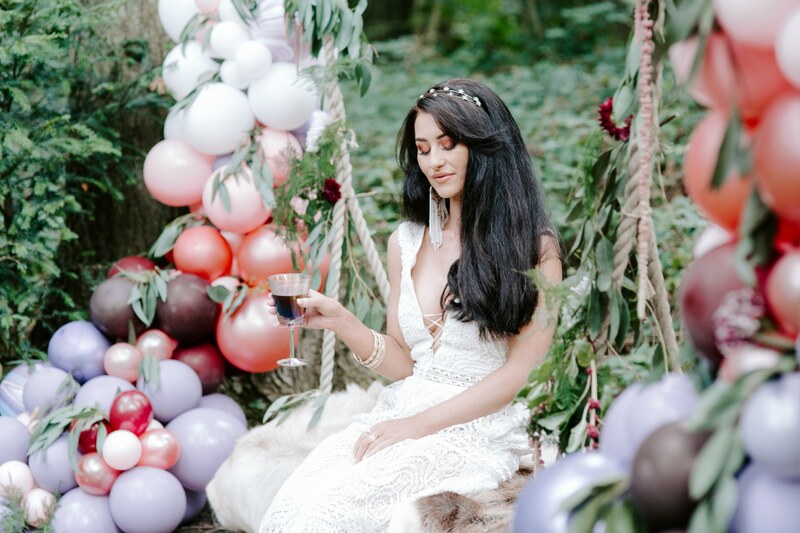 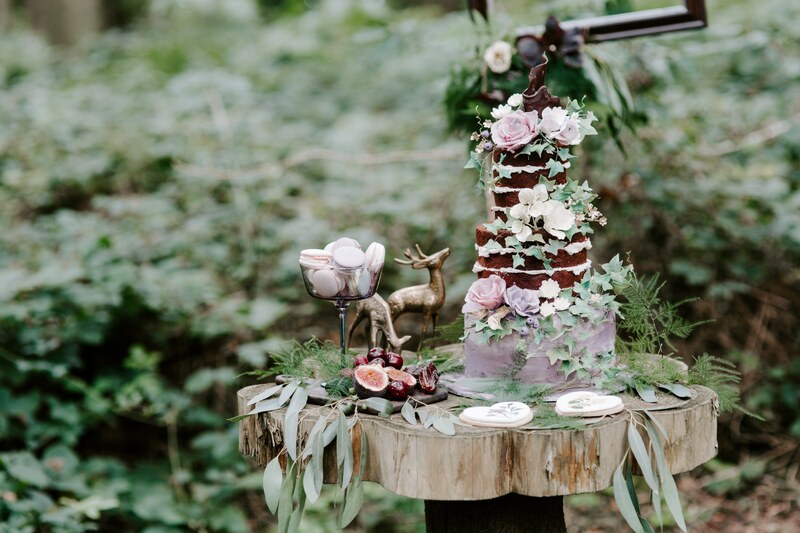 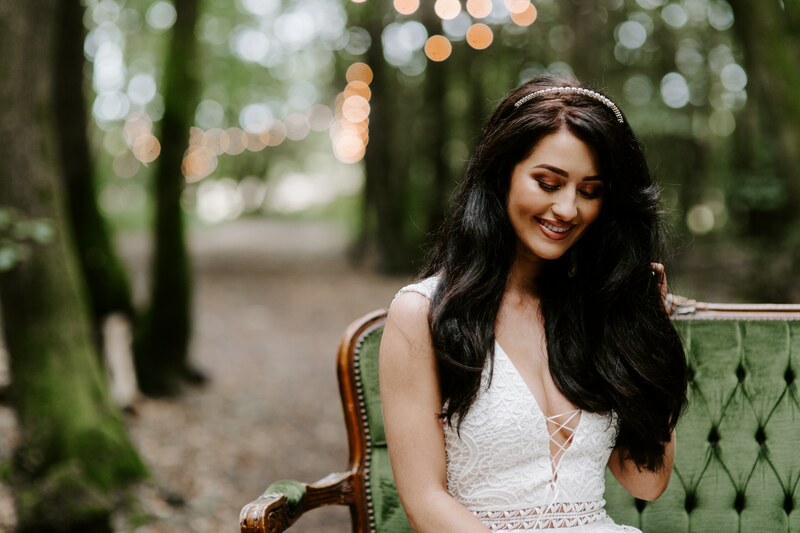 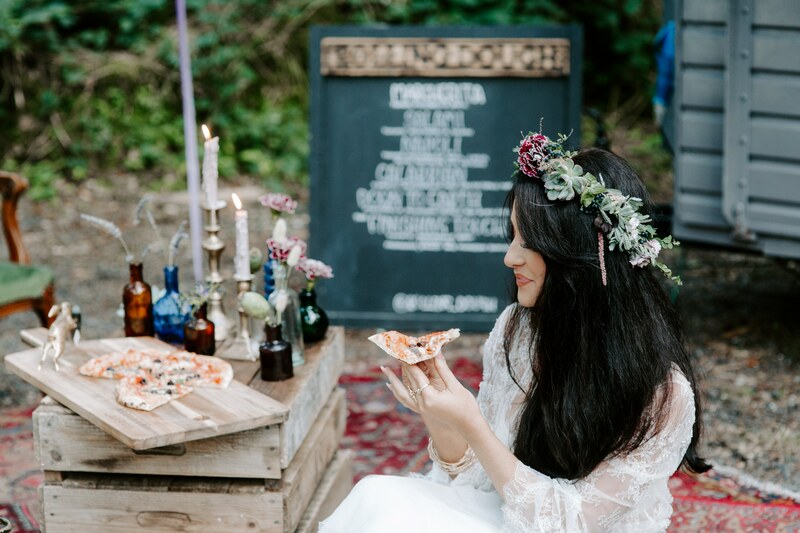 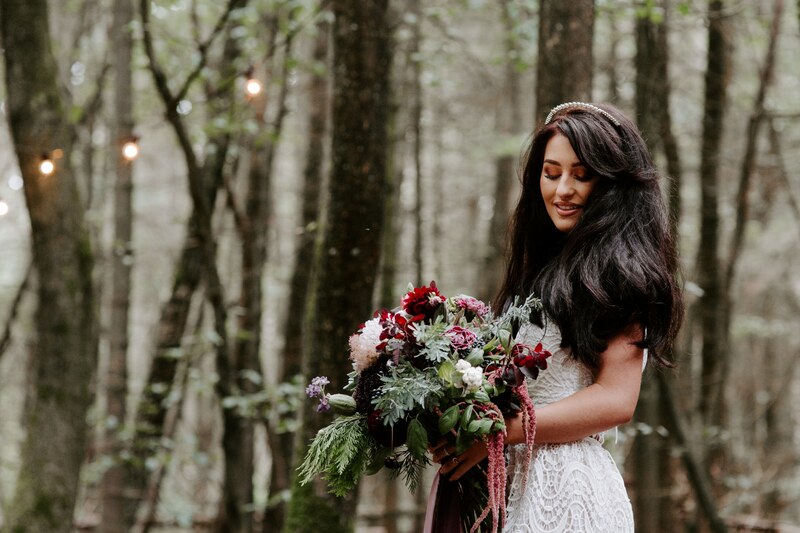 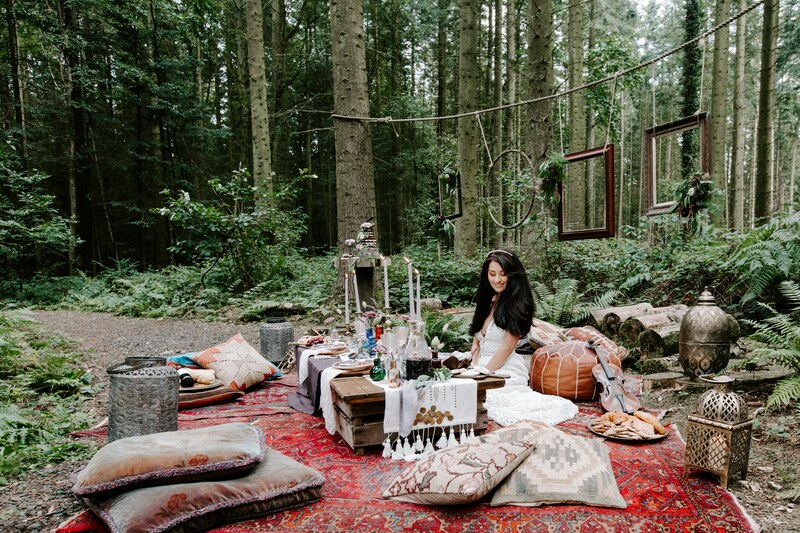 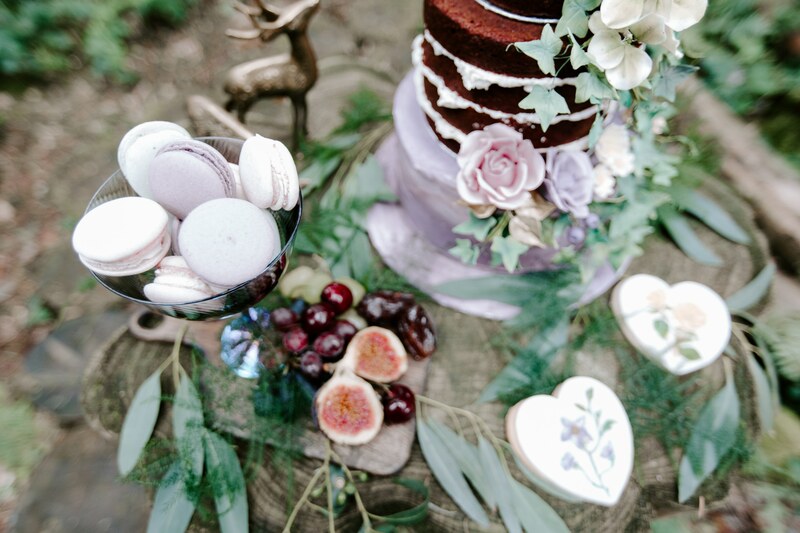 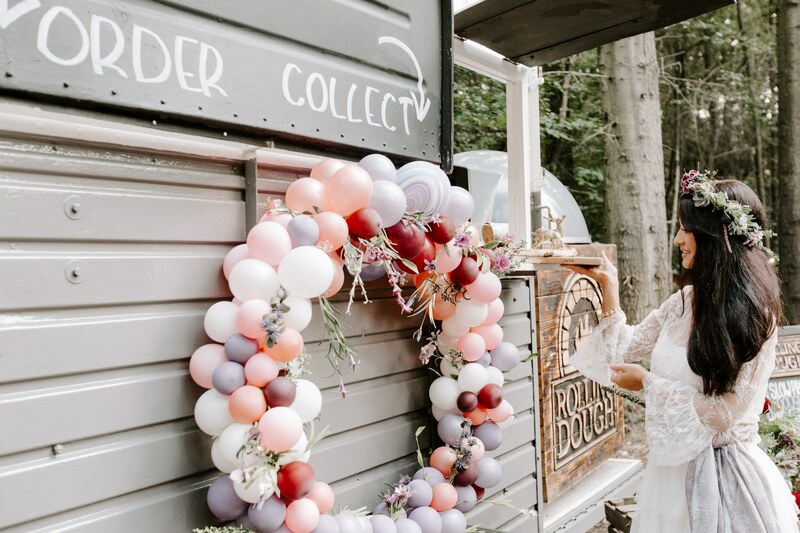 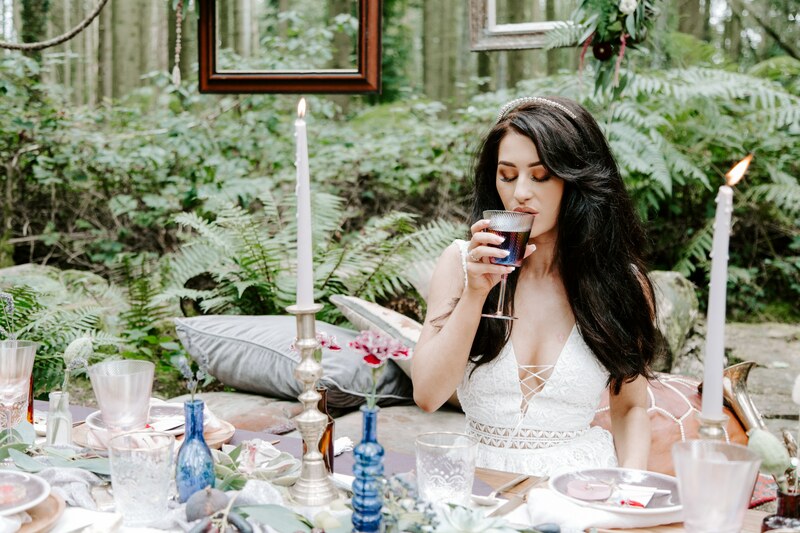 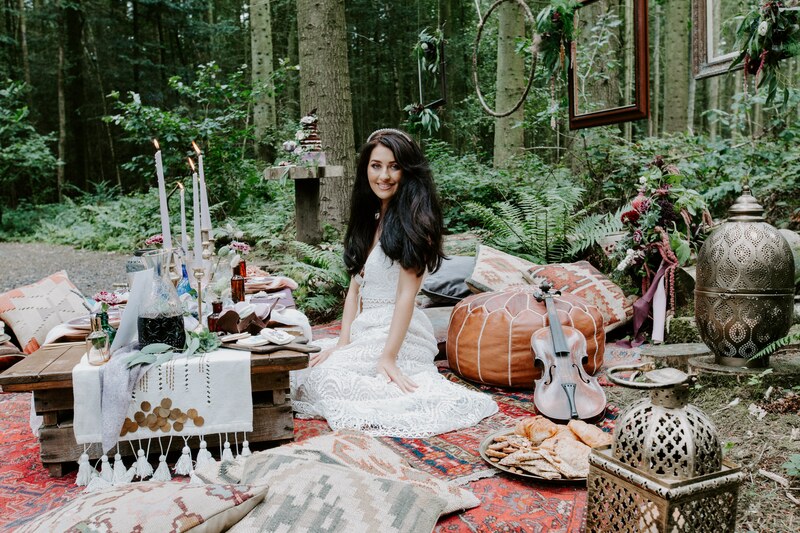 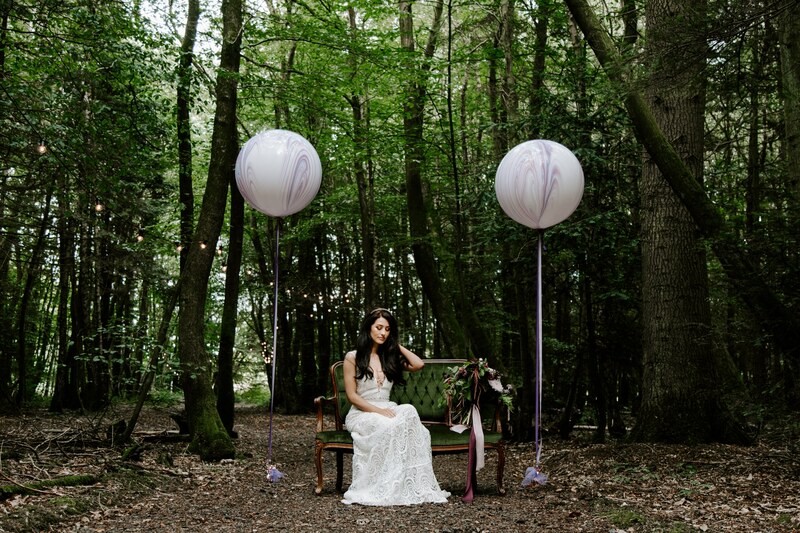 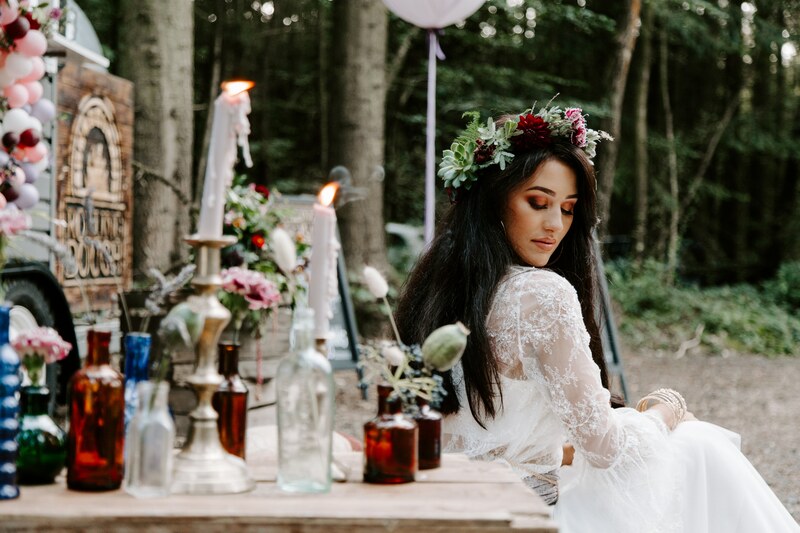 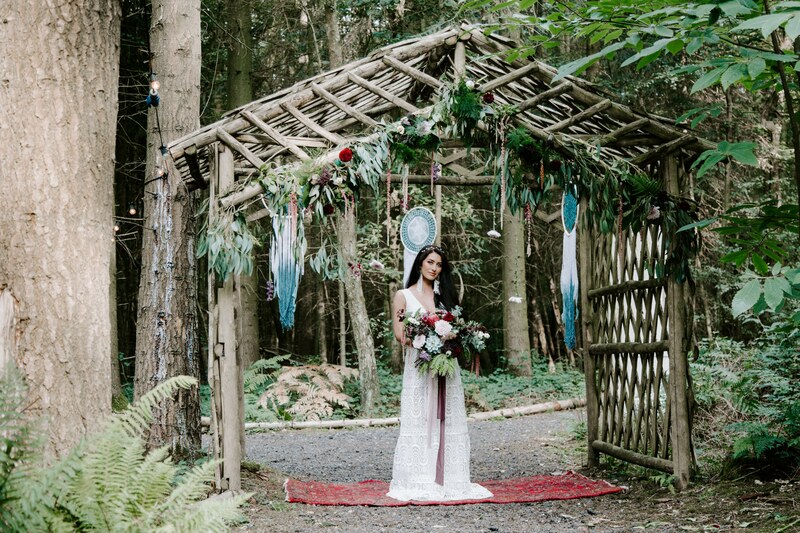 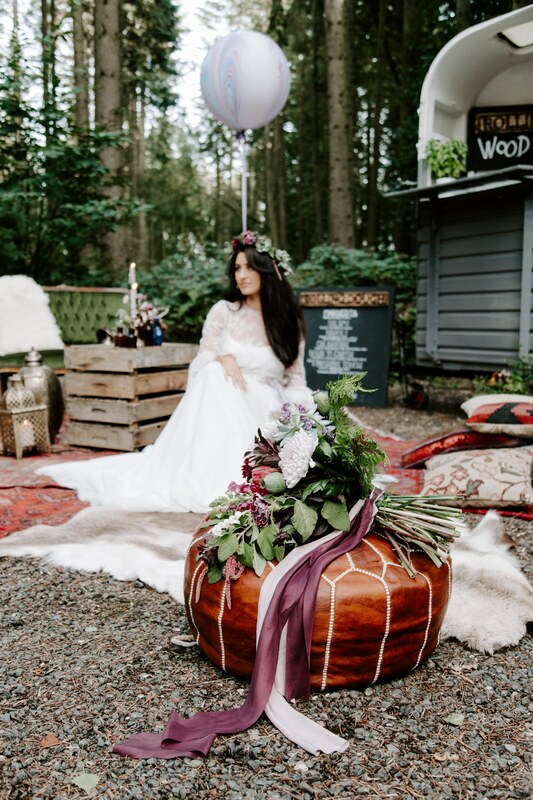 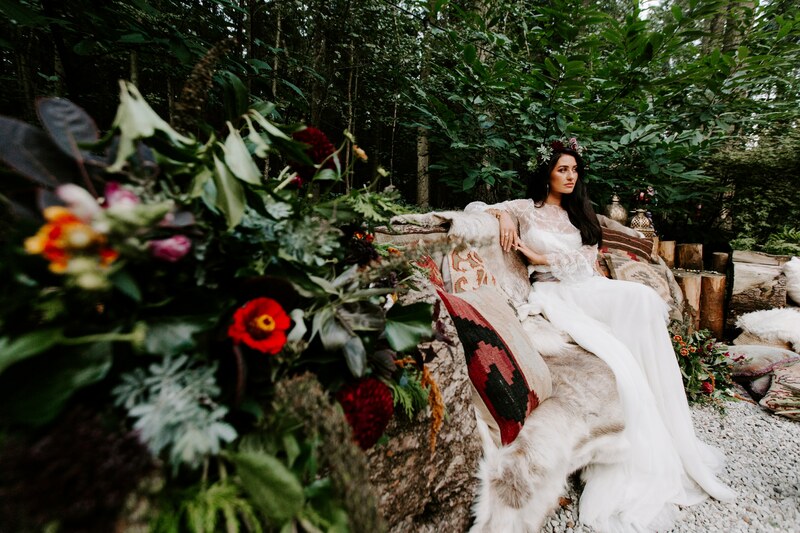 Longton Woods is a fantastic enchanted woodland in Maidstone, the ideal setting for a magical outdoor bridal styled shoot. 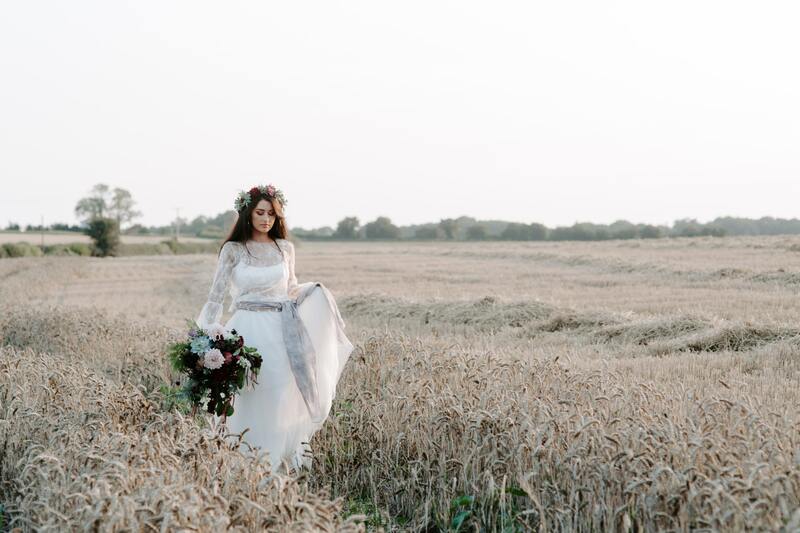 So many beautiful photo opportunities to be had and Caroline was sure to capture them all! 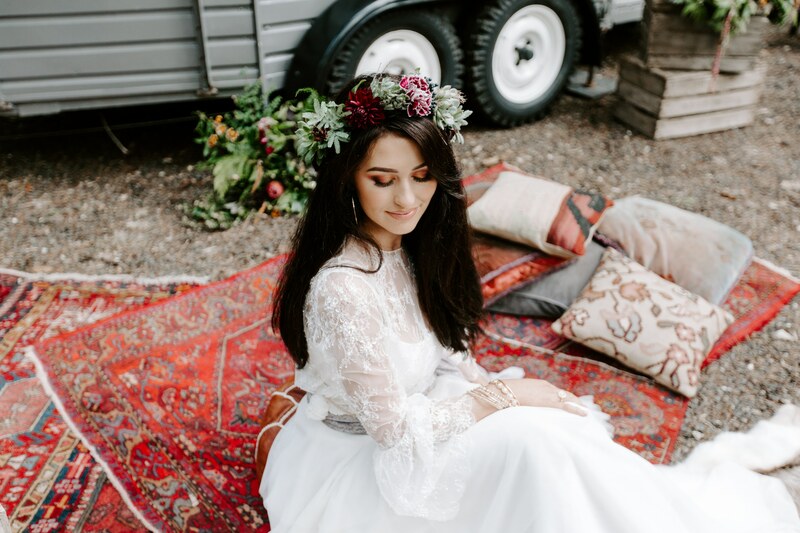 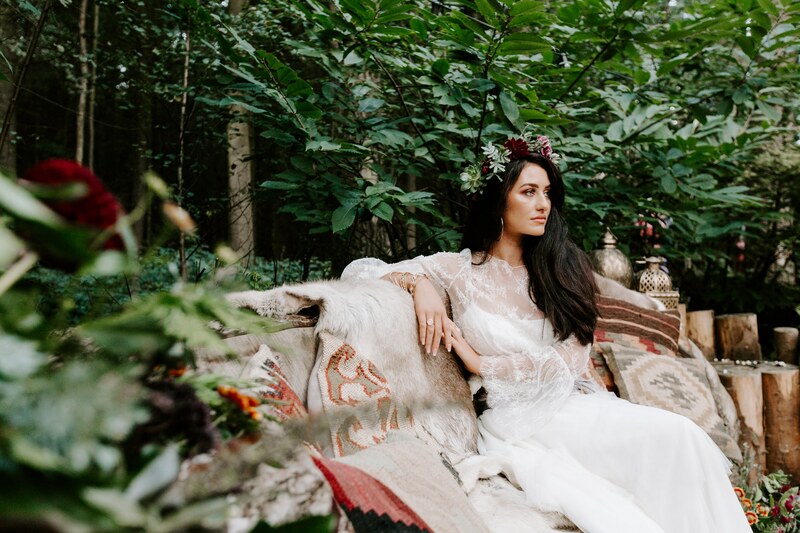 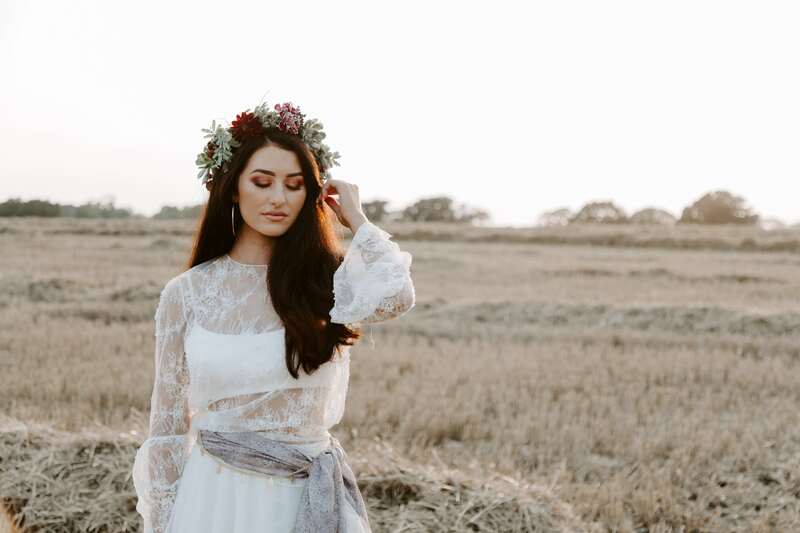 Our graceful boho bride, was absolutely beautiful (I’m sure you will agree) and looked very much like Esmeralda, so great choice. 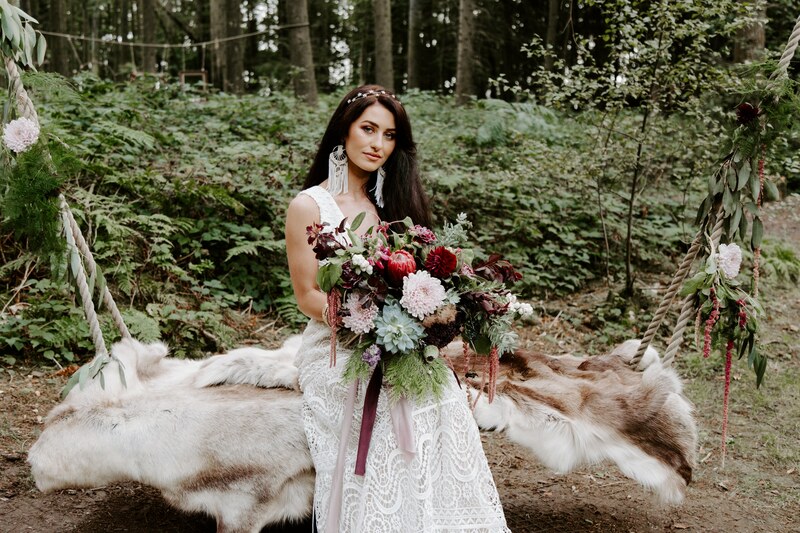 The dresses from Audrey Ashley Couture really suited the theme and looked amazing on. 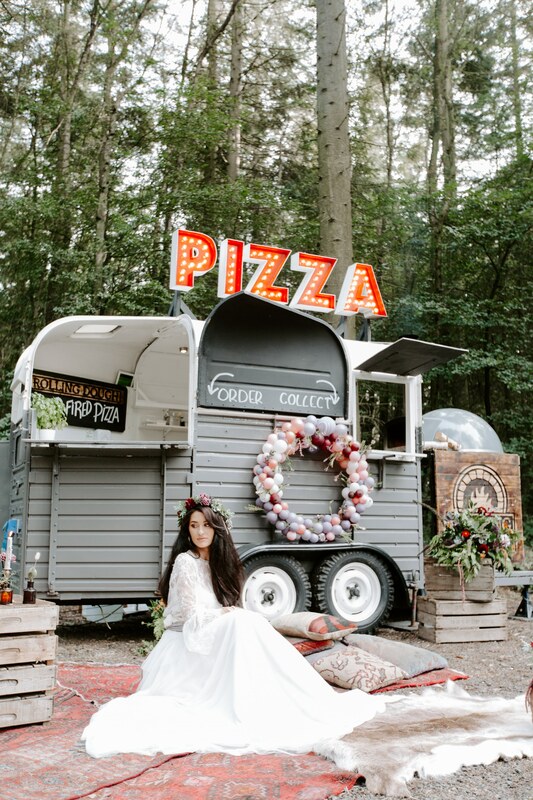 If I was to get married this would be the sort of wedding I would like. 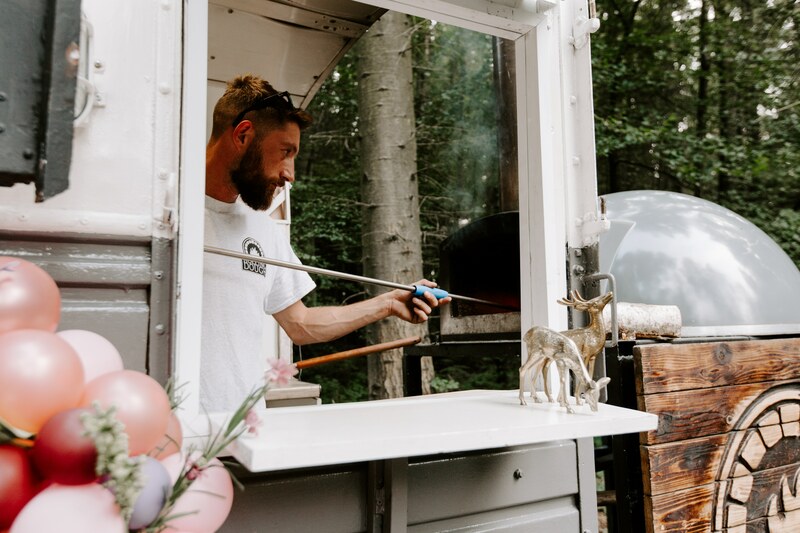 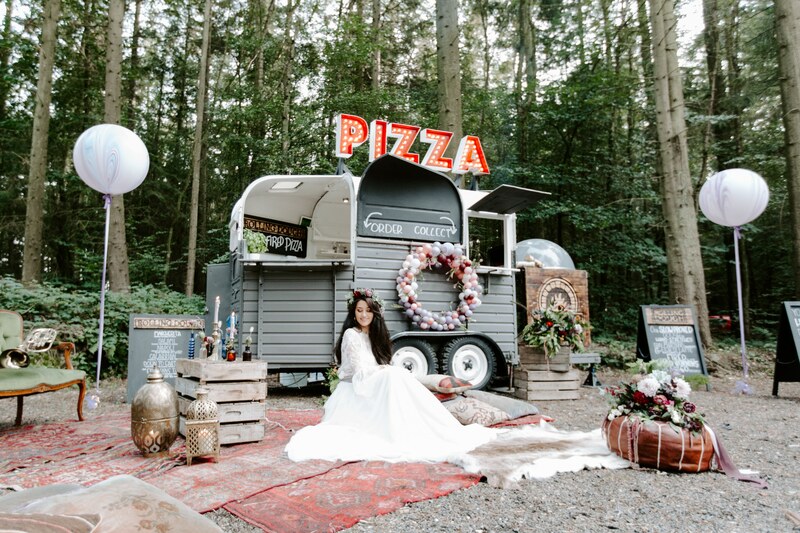 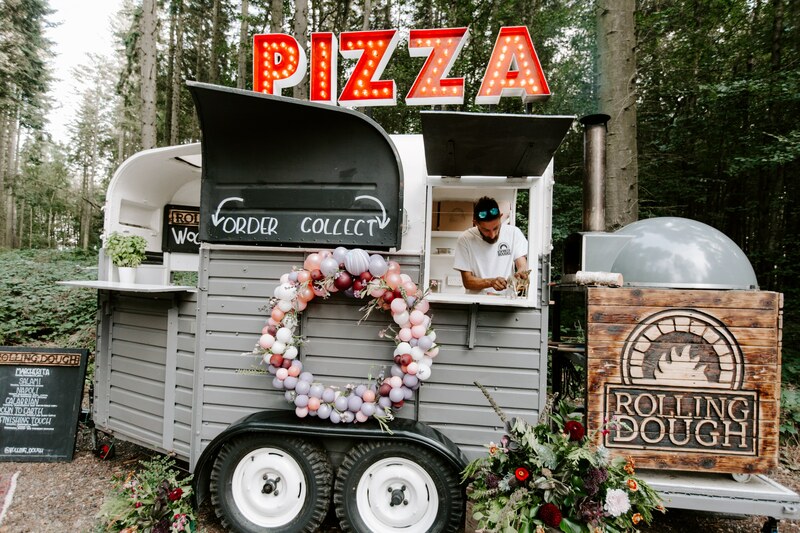 Everything was perfection, the outdoor furniture from Hire Love was a perfect fit, and the pizza was amazing, best pizza I have ever tasted. 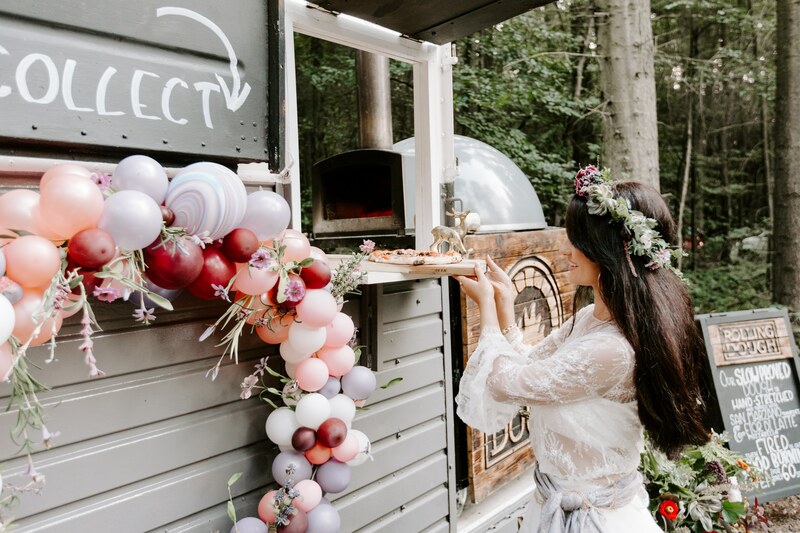 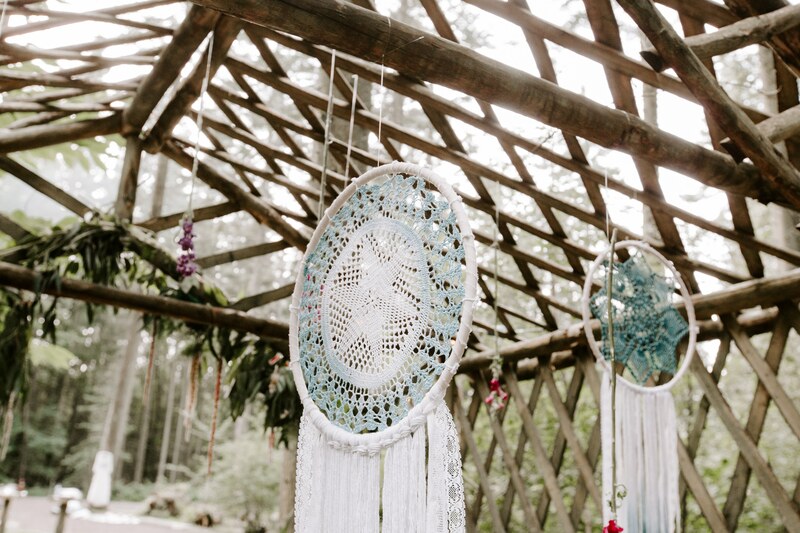 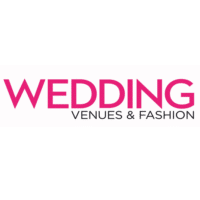 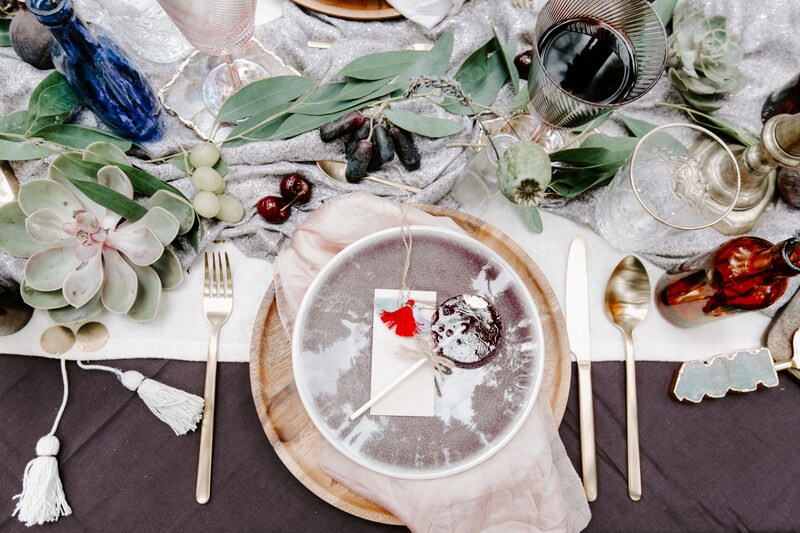 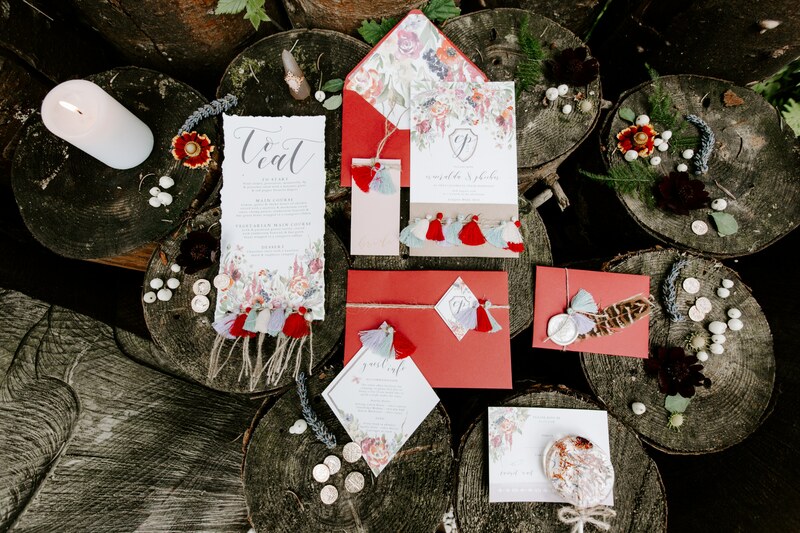 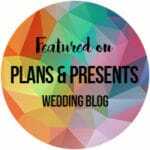 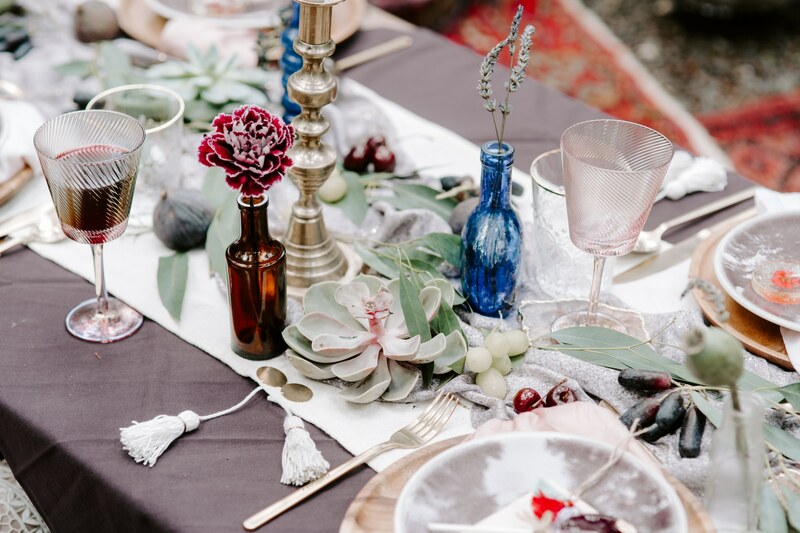 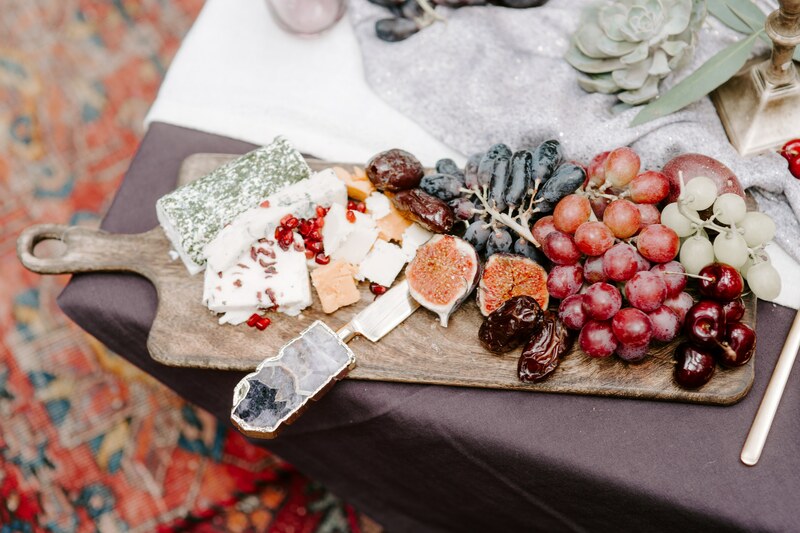 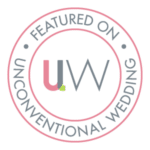 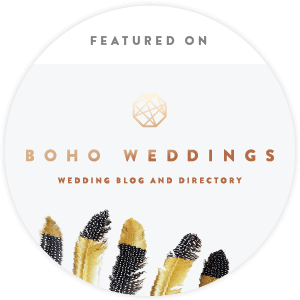 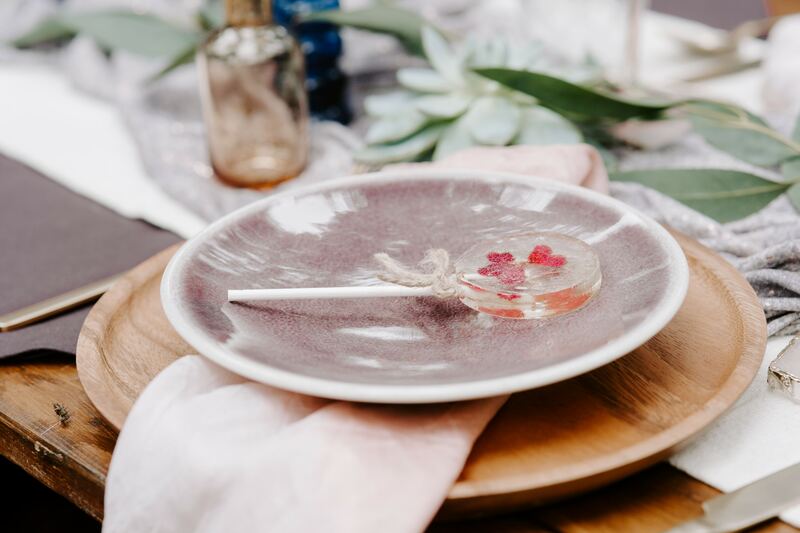 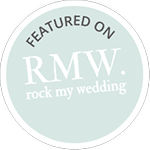 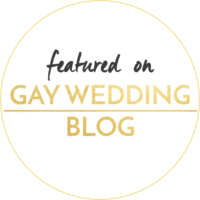 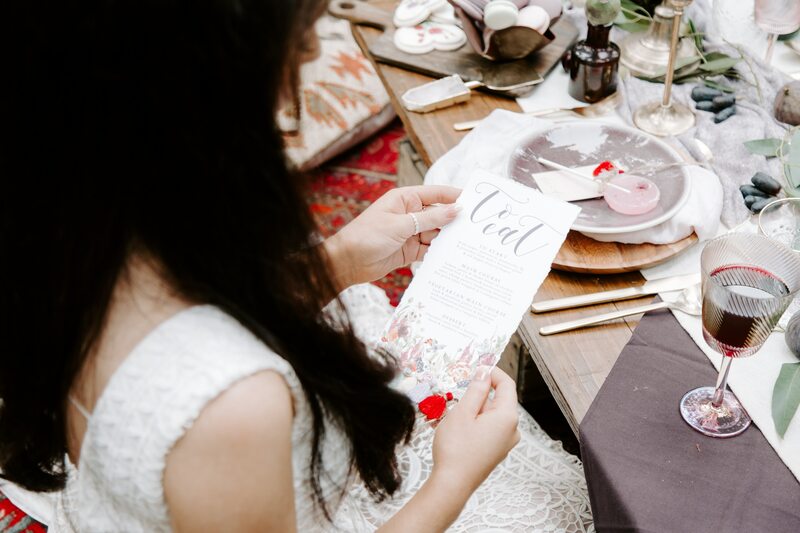 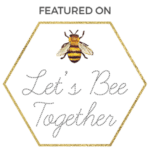 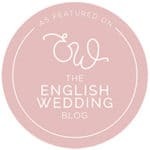 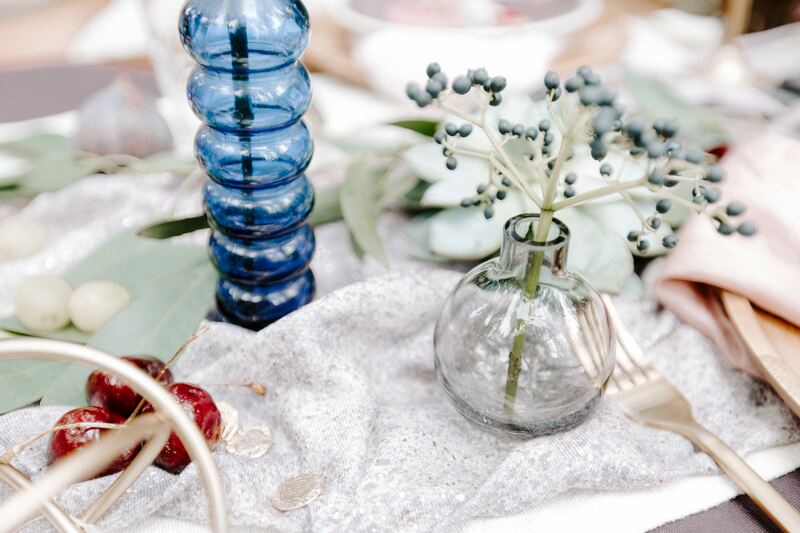 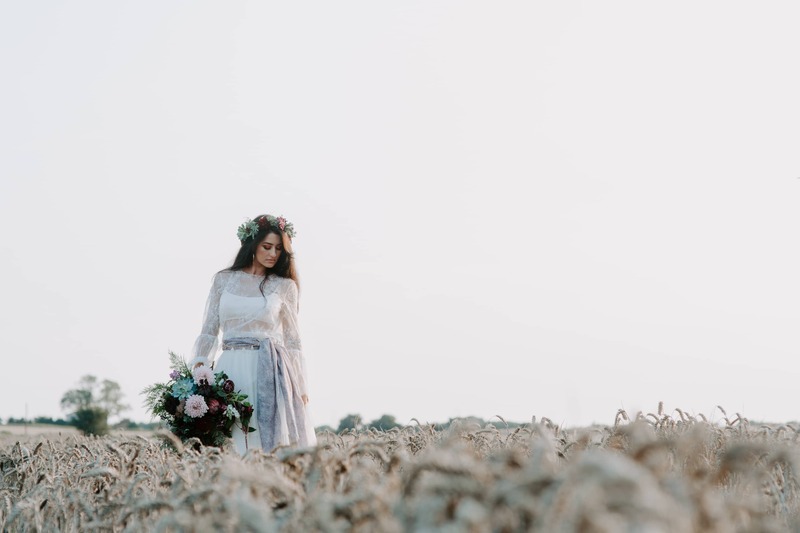 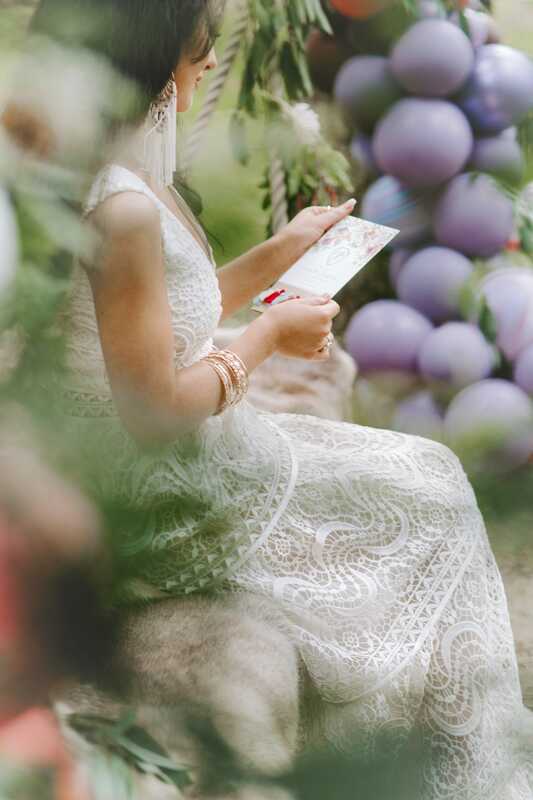 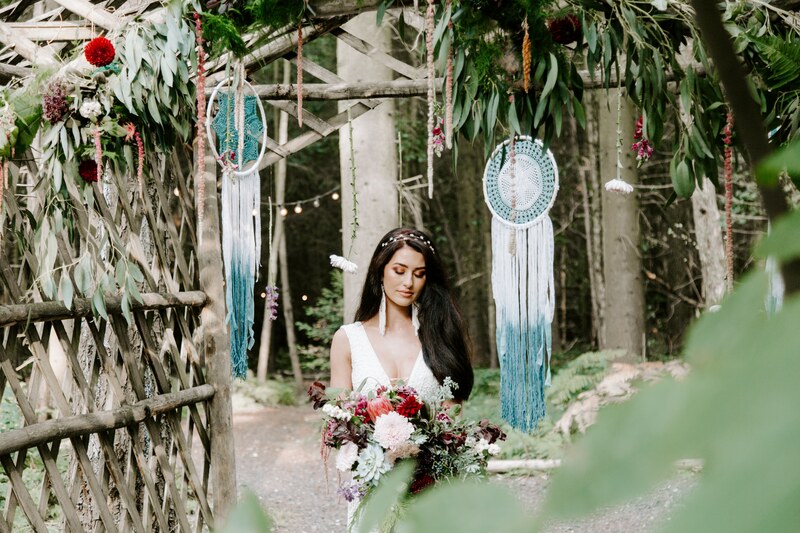 Every fine detail was thought of, Valentina from The Stars Inside is the perfect wedding planner, she has such an eye for detail, so your day would be perfection. 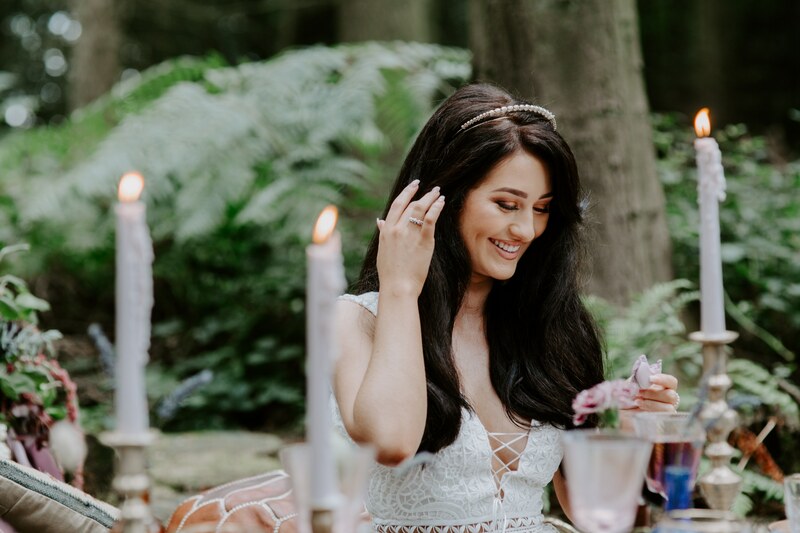 I hope you enjoy the pictures and please do watch the video, its beautiful of the behind the scenes. 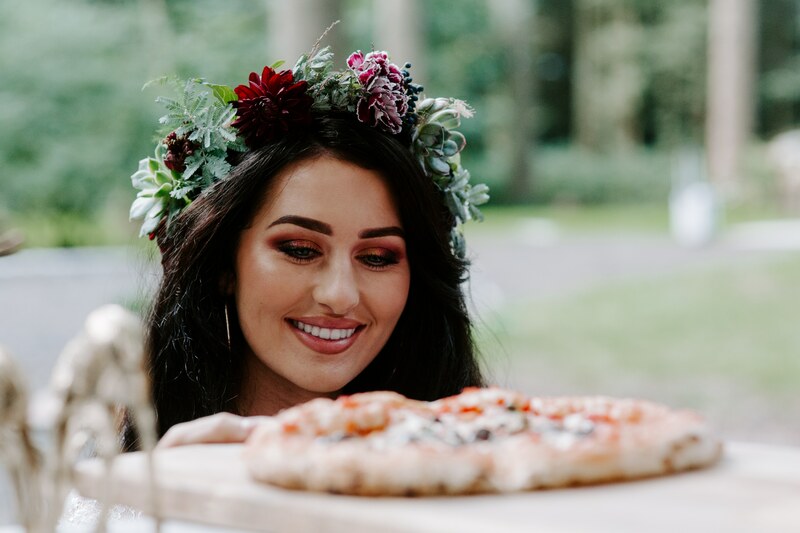 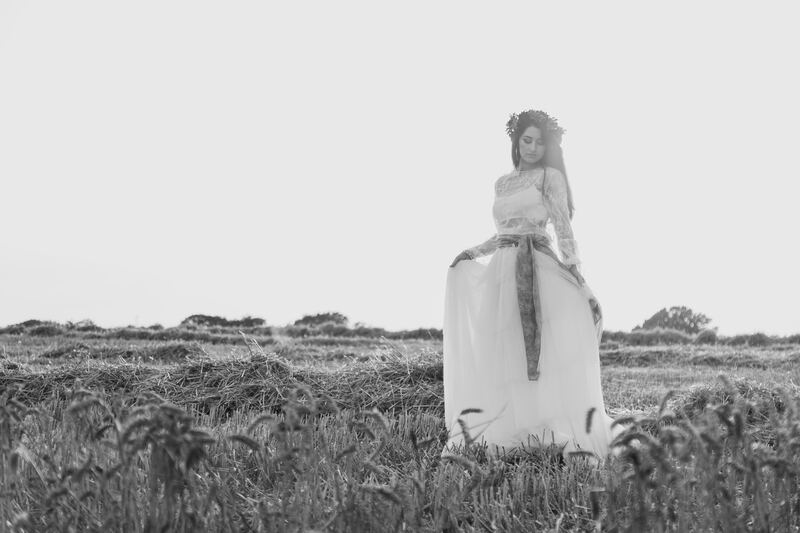 Lots of planning and prep work goes into a photoshoot to really give you dreams and ideas of your perfect day could be.